Subject: In a not too distant future, in a bid to avoid warfare and to channel human aggressivity, murder is coded in accordance with precise rules. In New York, Caroline Meredith kills her pursuer in the course of his ninth hunt. In Rome, Marcello brings down his ninth victim. 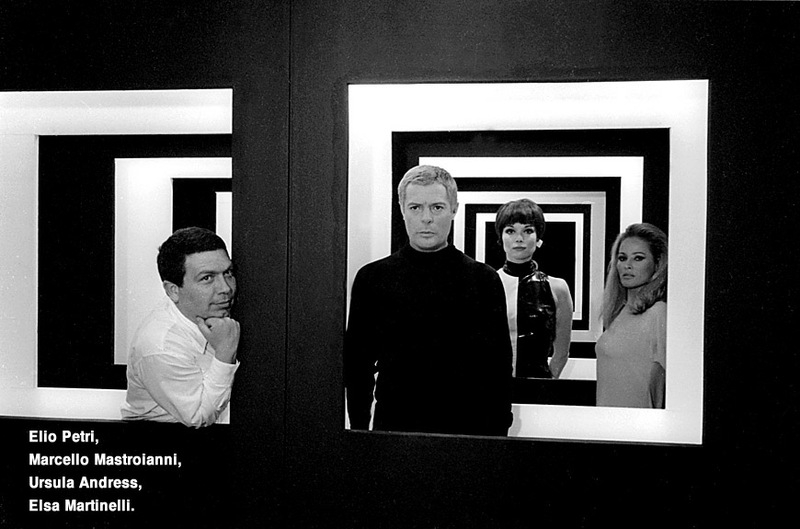 For the tenth confrontation, which comes together with an award, the computer selects Caroline as the hunter and Marcello as the tenth victim. The hunt begins with a television show for a backdrop. However, Marcello and Caroline fall for each other and stymie the game. Cast: Marcello Mastroianni ( Marcello Polletti), Ursula Andress (Caroline Meredith), Elsa Martinelli ( Olga), Salvo Randone (“the professor”), Massimo Serato ( the lawyer), milo Quesada ( Rudi), Luce Bonifassy ( Lidia), George Wang ( the Chinese Aggressor), Evi Rigano ( a Victim), Walter Williams ( Martin), Richard Armstrong ( Cole), Anita Sanders ( Massager), Mickey knox ( Chet), Antonio Ciani.